Today I come with something exciting to share! 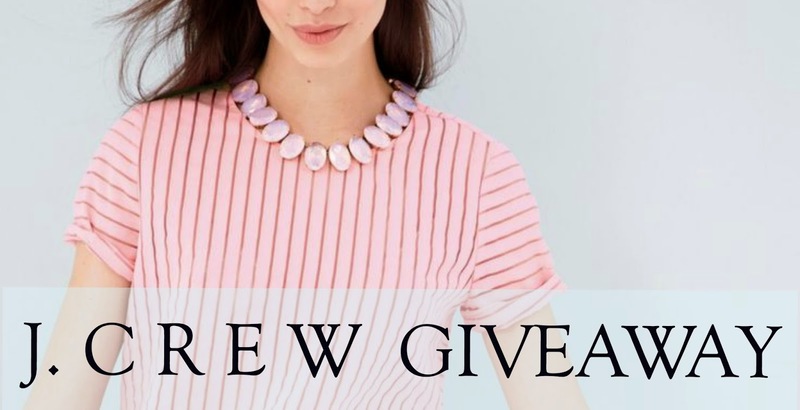 I've teamed up with some other collaborators to host a huge fashion giveaway. I'm sure everyone loves free stuff, specially free clothes, so for me it's a great opportunity to become part of this. For this giveaway, 2 (two!) lucky winners will receive a $100 gift card each to spend on the J. Crew online store. This is one of my favorite stores ever, and their new collection comes with beautiful pieces including pastels, pleats and stripes (my favorite combination for spring). So, if you're feeling lucky, or not, don't miss this opportunity! All you have to do is follow Primp & Wear and J. Crew on Instagram and leave a comment below with your Instagram username. That's it! The giveaway starts now and ends on April 26th. The 2 winners will be chosen randomly and contacted on April 27th via Instagram.